Its often difficult to talk about oneself, but I will try my best without being too boring.. I was born in France in 1969, and as long as I can remember, I have always loved the underwater world and especially sharks. Not easy for a 10 year old kid living in the center of France surrounded by mountains to live its passion, but I started learning scuba in a nearby swimming pool that had a scuba diving club. My appetite for the underwater world pushed me very fast through the different diving certificates until I became a professional diving instructor when I was 18. 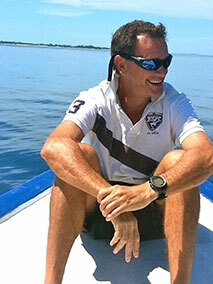 And so I started to travel the world working as a diving instructor. From Red Sea to Maldives, Zanzibar, Cape Verde, Mexico, Venezuela, Costa Rica, Thailand etc. 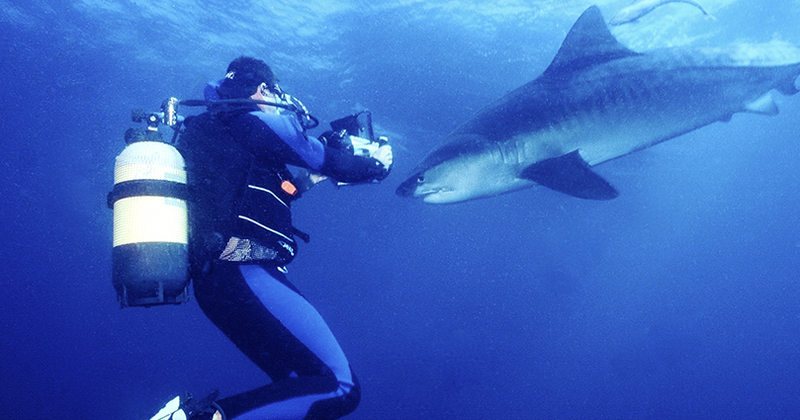 I was lucky enough to encounter many sharks species face to face and to self-educate myself of their behavior. 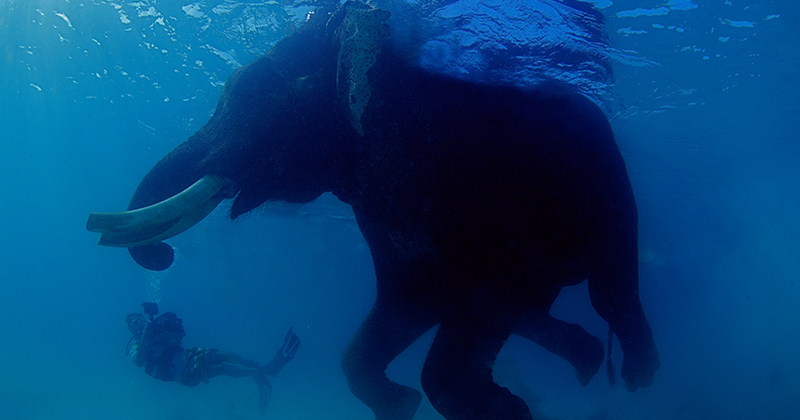 Underwater filming. I have to say that I have been blessed for the last 15 years, being able to travel the world, filming sharks and other amazing marine life and also bringing divers and friends with me along the way. Some of my Footage has been seen on BBC, Discovery Channel, National Geographic, Canal Plus, TF1 among others. 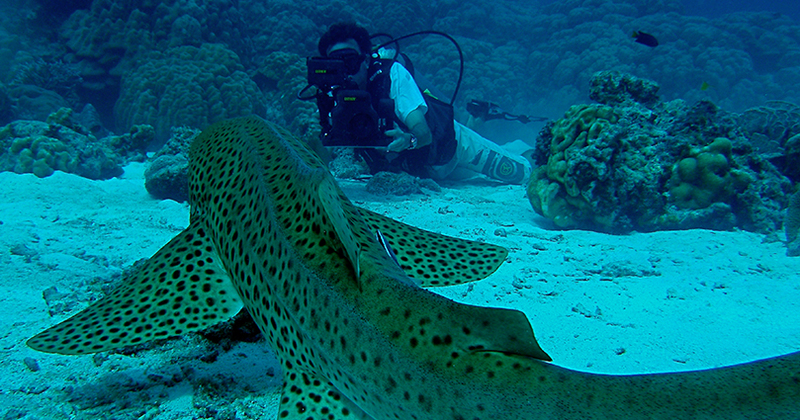 In 2000, together with my wife, we wrote and published a book about sharks called < sharks for your eyes only > Now days, I continue filming underwater to regularly update my stock footage and to pass on my experience and knowledge to my 2 children and organizing private underwater filming expeditions for friends and nature lovers. Thanks to my 25 plus years of experience in the diving and tourism industry, i offer my expertise on diving/marine related operation for hotels, resorts and yachts as a consultant.